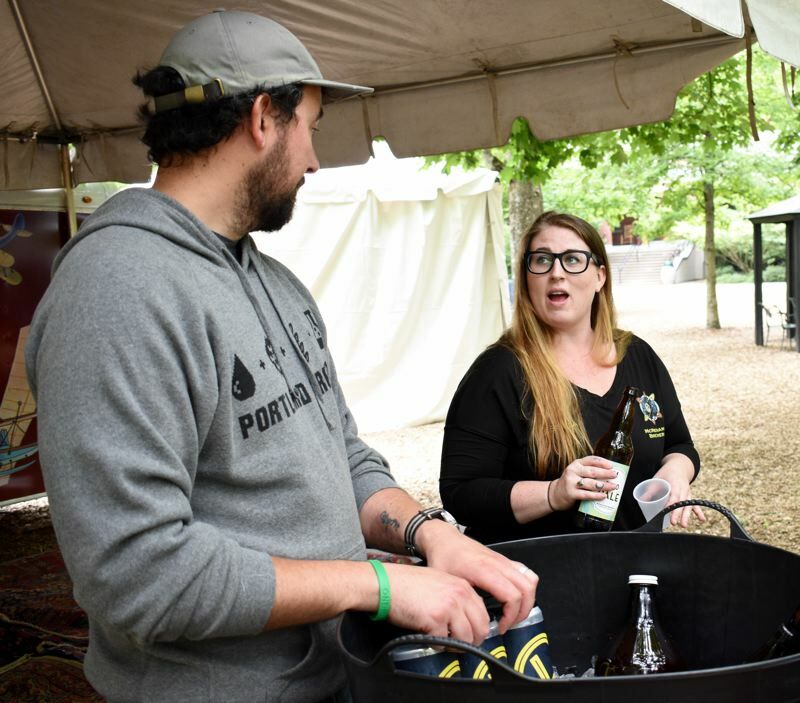 Quench your thirst for summer suds with hundreds of beers and ciders on tap at the inaugural McMenamins Edgefield Brewfest this weekend in Troutdale. The grassy area at Edgefield used for the summer "Concerts on the Lawn" series will be filled with brewery booths on Saturday, June 30. "What you're going to walk into is an adult Disneyland," said Jessica Standley, McMenamins brewery administrator. Patrons also can enjoy musical stylings including Gary Bennett and The Coattail Riders, who will perform traditional country tunes mixed with a few originals during the festival from noon to 3 p.m. Rich Layton and The Troublemakers will follow, performing original tunes that mix the styles of vintage country, rock and blues from 4 to 7 p.m.
Tours of the Edgefield brewery, winery and distillery at 2126 S.W. Halsey St., will be given during the festival. 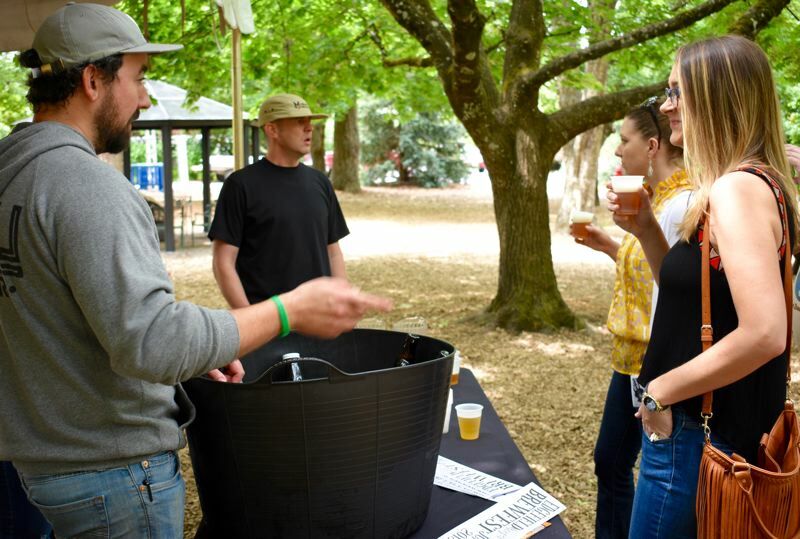 Edgefield hosted a brewfest preview on Thursday, June 21, wh ere brewery representatives planning to attend the Saturday gala poured beer samples. Eric Banzer-Lausberg, from Migration Brewing, handed out a few tastes. Portland-based Migration Brewing opened a new location in northwest Gresham, at 18188 N.E. Wilkes Road, about three weeks ago, he said. The location is a few miles west of Edgefield, so the event is a great way to promote the latest establishment. "We're right down the road," Banzer-Lausberg said. "We're exit 13 (from Highway 84) and they're exit 16." Jason Barbee, from Level Beer, said the upcoming festival will be a great way to network and promote their brewery at 5211 N.E. 148th Ave., also an Edgefield neighbor. "Our focus is on lower (Alcohol By Volume) beers," Barbee said. "So summer festivals are appealing for us. Plus it's just a cool venue." 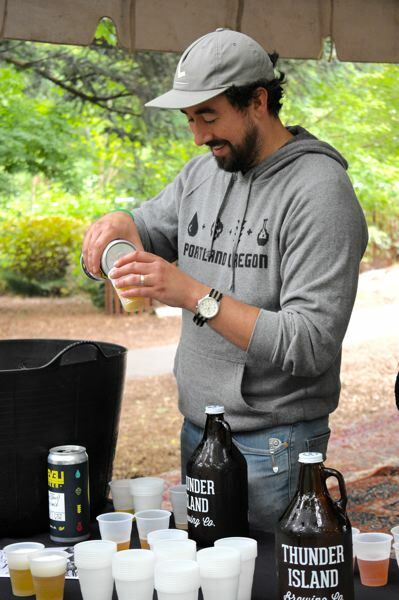 Standley, who handed out a few samples of McMenamins beer during the preview event, said part of McMenamins' philosophy is to engage with the community — especially if that includes serving craft beer during a festival celebrating ales. "This is the concentration of what we are about: Having a wonderful time at your leisure, and getting a personal experience for everyone with amazing breweries for every one of our neighbors and friends."